The horrific violence in Assam has once again brought our attention to the malaise of communal violence in India. In the recent times one has witnessed such a violence in parts of UP, (Kosi Kalan, Barailly, Pratapgarh) and also in Gopalgargh in Rajasthan. In most of these acts of violence one has to confront the reality that there is a lapse on the part of state, the police and civic administration, due to which the violence sustains itself after the initial spark has been thrown by someone. The present spate (July, 2012) of series of acts of violence reconfirms that there is a lack of accountability, there is state complicity and impunity due to which the innocents are done to death and the culprits generally get away. As such communal violence is a multilayered phenomenon. The foundation of this phenomenon lies in the negative perceptions about the ‘others’, the prevalence of ‘social common sense’ about the minorities in particular. ‘They are invaders, more loyal to Pakistan, beef eaters, they convert by force fraud or allurement, they are infiltrators etc’ are a few from list of perceptions about minorities prevalent in our society and many firmly believe these to be true. These perceptions based on half truth are made to become part of social common sense, through various mechanisms. Noam Chomsky, while talking about such perceptions amongst the people shows how in United States, state gets popular sanction for its aggression on other countries, by ‘manufacturing the consent’ of the people all around. US state does it particularly through media. In case of social common sense in India, it is propagated by the dominant communal forces through the word of mouth, through media and through school books. This negative perception of ‘others’, in turn leads to a sort of hatred for the ‘other community’. The hate for other community is like an inflammable mindset, which gets sparked into communal violence either due to small accidents or due to the agenda of some political forces which get the violence orchestrated for communal polarization which helps them strengthen their political base. The anatomy of riots in India so for is constituted by a complex mechanism. At the base of this mechanism is ‘hatred for others’. Then come, the communal forces which instigate violence through various mechanisms. At the same time the state looks the other way around or subtly or directly helps the rioters. In the aftermath of violence state, mostly does not do any justice to the victims. The further trajectory of the communal violence is the communal polarization, and ghettoizarion of minorities. All this has been so far been manifest in India, various inquiry commission reports have confirmed this observation time and over again. It is in this light that when the UPA came to power in 2004, one of the promises which it had given was to bring in a communal violence prevention bill to see that these irritants of our system are done away. The focus was that the role of different players in the phenomenon of violence is curtailed. Different players in this game leading to violence are communal organizations-their hate speech, the acts of commission of and omission of political leadership and the state machinery. The aim of the bill was to curb the culprits and to give security to the targeted groups, whatever be their religion. Finally the aim was, to give justice to the victims and to rehabilitate them as a matter of duty not as mere charity. The UPA I got a bill in this direction, but it seemed that remedy it brought was worse than the disease. The proposed bill which was drafted further empowered that section who had been acting with complicity and impunity. When there was protest against the bill, it was stalled. Two major consultations were held by the civic society groups to press for the demand of a new bill to prevent communal violence. During UPA II, the Government gave the task of drafting the bill to National Advisory Committee, NAC. The NAC group on communal violence held consultations with the social activists working in the area of violence mitigation and in getting justice to the victims and also with the representatives of victim groups. They drafted the bill, ‘Prevention of Communal and Targeted Violence (Access to Justice and Reparations) Bill, 2011 (See: http://www.carvaka4india.com/2011/10/communal-violence-prevention-bill.html). Initially NAC group had asked for declaring the violence hit areas as disturbed areas, but this provision was withdrawn later due to the criticism of this provision. The bill identified the minorities as the targeted groups, and called for the National authority to oversee the proper implementation of the provisions for prevention and control of violence. The national authority was also to look after the justice and rehabilitation of the violence victims. The draft bill submitted by NAC came under heavy criticism from BJP. The other parties also criticized the draft on the ground that it is one sided favoring the minorities. They also pointed out that the idea of the national authority will go contrary to the federal structure of the state, and provisions of reparations also came to be criticized as being paternalistic; stifling the rights of survivors. Later the UPA II tried to test the response to the bill from various quarters by putting it on the agenda of National Integration Council where again most of the parties criticized it, and only few members of NIC, who are working in the area of social harmony spoke for it. All said and done it seems the Government developed cold feet and seems to have put the draft bill in the deep freezer. 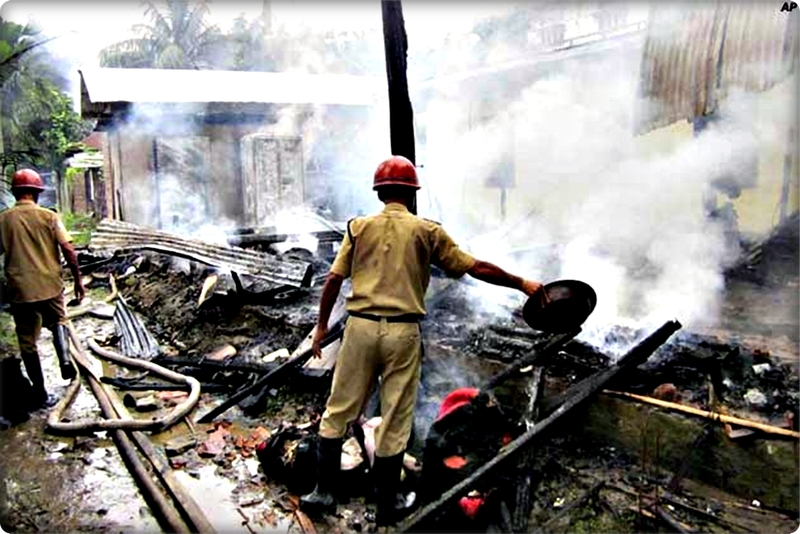 So, what will be the trajectory of communal violence prevention bill? More violence in Assam, UP, Rajasthan has already taken place and other new places may not be far off as the deeper causes of violence persist, the riot mechanism is very much in place and the political leadership is what it is, the bureaucratic and police machinery continues to be operating in the same way. So what’s the way out? Many a social activists met again and put an appeal to draft and bring in a realistic law, which will address the deep and basic causes of continuing violence. The group felt that it is necessary to ensure establishment of command responsibility and the authorities should not get away for their lapses by pointing the finger to political leaderships instructions. Political leadership cannot escape its responsibility. Accountability of authorities should be non controversial core part of the legislation. Provisions for protection of women and children have to be given priority. After the violence an effective victim and witness protection provisions has to be put in place with activation of a suitable compensation-rehabilitation mechanism in the aftermath of violence. One must add, the violence is sparked off by Hate speech and rumors. Serious provisions are needed to punish hate speech. So it’s time that UPA II shows its sincerity and revives the efforts to bring a violence prevention law, after the due procedure, letting Parliamentary committee examine it and put the modified draft to the parliament. It’s a mammoth task, but surely we keep facing humanitarian crisis of serious nature regularly due to the violence getting sparked time and over again. It’s time to get the wheels of making a law, moving to prevent-control violence and to give justice to the violence victims, which is overdue.